PCB PROTOTYPE * Items designated with an asterisk are required fields. it means- we will charge extra panel costs when there are different kinds in 1 PCB design. For same kinds, it needn't charge. Tips: If you use .PCB and .PCBDOC format file, we will fabricate the drills in PCBs as your selected options. This option is invalid if your file is Gerber file , as we will do according your Gerber file. You PCB order number will be added to the board. Kindly leave a note if you do not require this additional service. PTH holes or vias that are cutted through to create a partial or half hole to form an opening into the side of the hole barrel.Generally they are used for mounting a PCB to another one. Halogen-free PCB, it should have less than 900 parts per million of chlorine or bromine, with less than 1,500 ppm of total halogens. High-density multi-layer PCBs may have microvias: blind vias are exposed only on one side of the board, while buried vias connect internal layers without being exposed on either surface. Apply to multilayer pcbs only.Stack-up refers to the arrangement of copper and insulating layers that make up a PCB before starting board layout design. Carbon ink creates surface resistors and a protective contact surface for switches. A variable level elevation can be milled at the edge or within a circuit board. This is called Z-axis milling. Total quantity of components for each board. Total quantity of SMD components for each board. 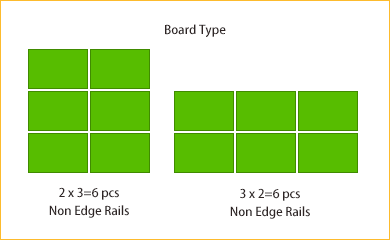 Total quantity of through holes components for each board. If single pcb qty is more than 20pcs or the part solering points are less than 100,then we suggest do panel.Or we may charge extra wastage fee. Are parts mounted on one side only, or both sides? For a precise quotation or to discuss assembly service, please send us your PCB file, BOM file and requirements to service@pcbgogo.com. 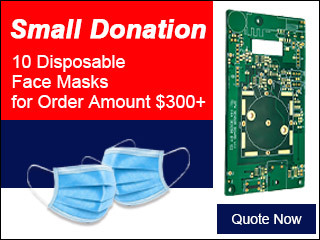 Prices do not include PCB fabrication or the cost of components.